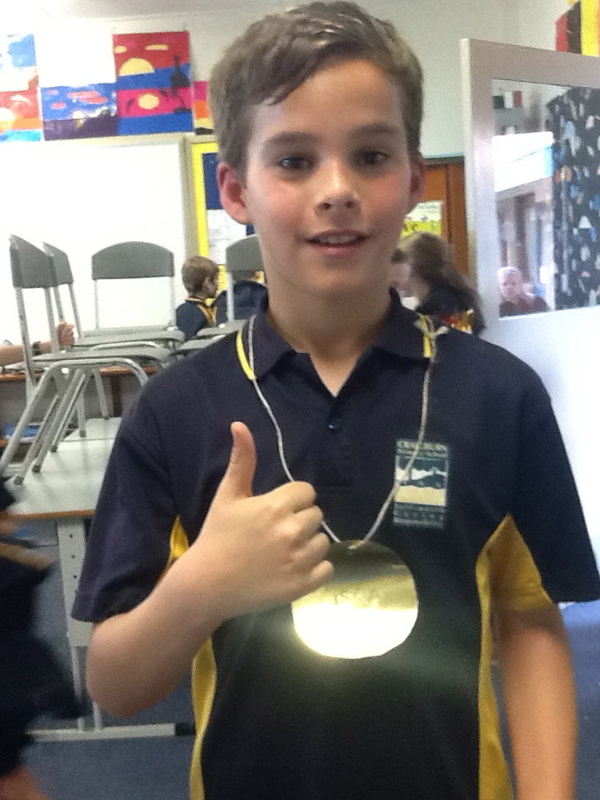 Tom Crosby ‘scooped the pool’ at this year’s mini olympics when he won 6 gold medals!!! Events that he won included ; ‘Chook Wrestling’, Steeple chase and 1500m. The class were divided into teams from 6 continents and competed in a number of different sports and games. Well done Tommy! I know how you, Katie and your fellow classmates enjoyed the Mini Olympics. We are so proud of you.